Here at Essential IFA, we are committed to being a business which does good in our local community. We like to give back where we can and make an impact on the lives of people in our area. We are proud to be currently supporting an initiative which is raising money for someone close to our hearts– who, with our support, can have a much better life. We are helping to support a lady called Sharon who has recently been given a life changing opportunity – she has been offered a Canine Partner to be her companion and assist in every day tasks which, due to her illness, Sharon finds increasingly difficult. 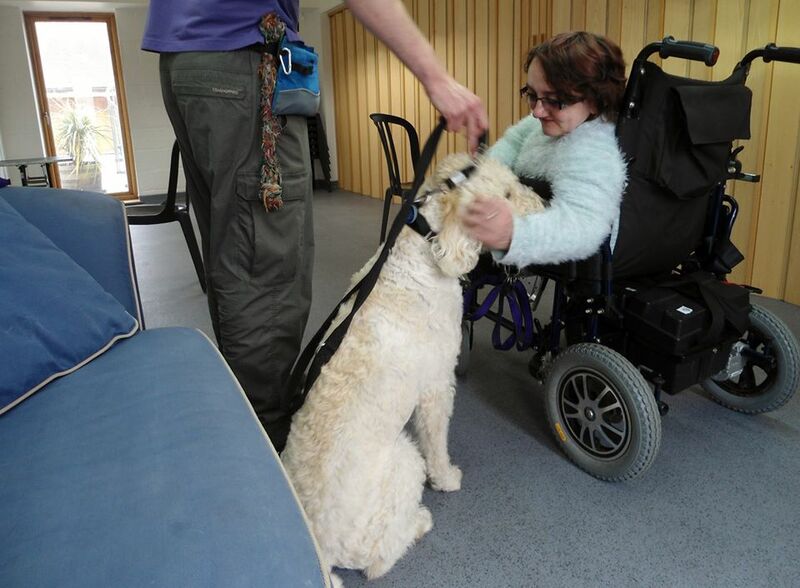 Canine Partners is a registered charity that transforms the lives of people with disabilities by partnering them with assistance dogs, these dogs offer companionship, security and practical help with everyday household tasks. Although this is a fantastic opportunity for Sharon, there is a huge financial implication attached, which she simply couldn’t afford without help. In order for Sharon to get to know her new best friend, Canine Partners need Sharon to stay with them in Sussex for two weeks. This involves paying for two weeks accommodation, food, a mobility vehicle hire and fuel to take Sharon and her driver. We have estimated that the bare minimum needed is £2,262.50. Here at Essential IFA we are delighted to have been able to make a donation to support Sharon, but we are also helping by publicising the crowdfunding platform which has been set up in order to raise the money she needs. If you would like to help Sharon have a better life, please visit the below link and make a donation. Thank you.